Definition at line 271 of file CMathEnum.h. Definition at line 99 of file CMathEnum.cpp. Definition at line 105 of file CMathEnum.cpp. Definition at line 111 of file CMathEnum.cpp. Definition at line 125 of file CMathEnum.cpp. 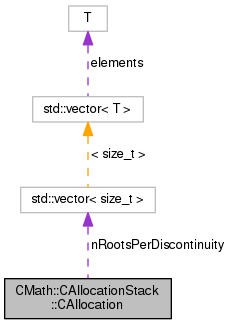 References nDiscontinuous, nRootsPerDiscontinuity, and nTotalRoots. Definition at line 115 of file CMathEnum.cpp. Definition at line 286 of file CMathEnum.h. Referenced by operator+=(), operator<<(), and operator=(). Definition at line 290 of file CMathEnum.h. Referenced by operator+=(), and operator=(). Definition at line 288 of file CMathEnum.h.